These cargo trousers are made for adventure. 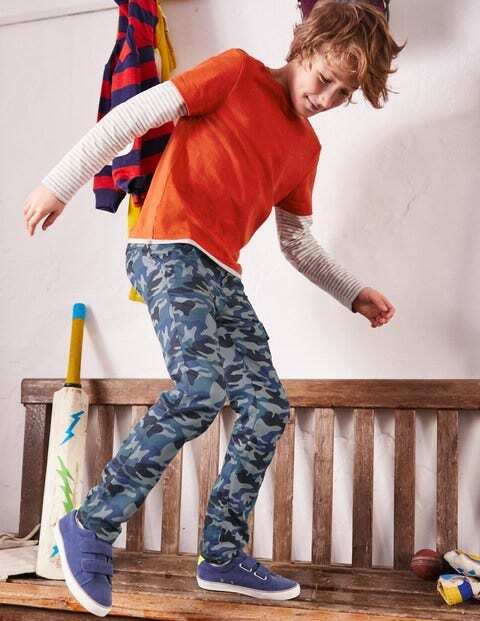 The soft jersey fabric has a bit of stretch so you can climb trees, swing off the monkey bars and jump over puddles with ease. And the handy leg pocket is perfect for storing that emergency choc bar.